The Curtiss-Wright AT-9 Jeep was a twin-engined advanced trainer aircraft used by the United States during World War II to bridge the gap between single-engined trainers and twin-engined combat aircraft. The AT-9 had a low-wing cantilever monoplane configuration, retractable landing gear and was powered by two Lycoming R-680-9 radial engines. 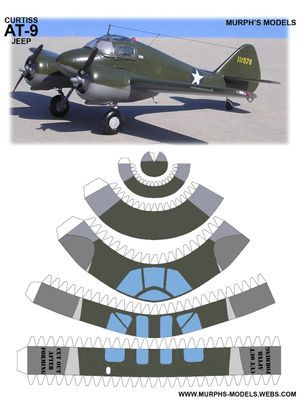 The first prototype Model 25 flew in 1941 and the production version entered service as the AT-9 in 1942. Named the "Fledgling" by Curtiss-Wright, it commonly became known as the "Jeep" in the United States Army Air Forces (USAAF). 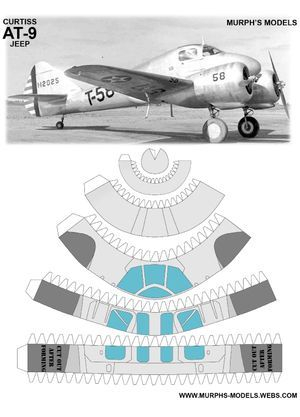 The prototype CW-25 had a fabric-covered steel tube fuselage and fabric-covered wings and tail units, but production AT-9s were of stressed metal skin construction. 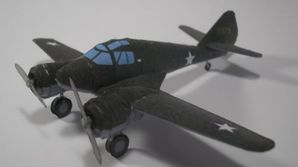 The AT-9 was purposely designed to be less stable and proved to be difficult to fly or land, which made it particularly suitable for teaching new pilots to cope with the demanding flight characteristics of a new generation of high-performance, multi-engined aircraft such as the Martin B-26 Marauder and Lockheed P-38 Lightning. A total of 491 AT-9s were built before production ended and a new production run of 300 of the generally similar AT-9A commenced. 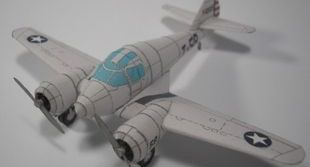 Because of its difficult flying characteristics the AT-9 was not offered for sale to civilians after the war, although many non-flying examples were given to ground schools for training purposes.